Abdi is a passionate and outspoken advocate for the Somali people. Through his music and poetry he has given the powerless a voice. He has championed the marginalised and condemned the powerful and corrupt. Abdi, a devoutly religious man, is fearless in his criticism of extremism. He is a household name in Somali and has a recognition level that politicians can only dream of. Before coming to the UK Abdi was employed by the Ministry of Health in Somali between 1976 and 1988. He rose to the position of Chief Pharmacist and had specific responsibility for refugees. Abdi came to the UK as a student in 1988. He acquired a Masters at Leeds University in “Health Planning Policy and Management”. His dissertation, “Is an Essential Drug Policy Viable in Somalia”, was published in November 1990. As a result of the civil war Abdi was unable to return to Somalia and he himself became a refugee. Abdi’s association with Wilsons began in the early 1990’s and he worked tirelessly to secure refugee protection and family reunion for Somalis seeking safety in the UK. He provided far more than interpretation, he unlocked so many trouble histories and stories. Abdi himself was born into a nomadic family and had a rich persuasive knowledge of Somali society which he generously shared with lawyers and refugee activists in the UK. There followed more than two decades of legal battles in efforts to get recognition of the plight of the Somalis. Abdi was at the heart of those battles and contributed enormously to our thinking and strategy. Abdi was intimately involved in numerous fact-finding missions to Kenya and Somalia stretching back to 1993. It has been an enormous privilege to act for so many Somalis in their struggle. We wish Abdi every success in his new position. We are enormously proud of our many years together and grateful to Abdi for all he has achieved with us in the firm. The situation in Mogadishu and Somalia remains dreadful. There is a chronic lack of resources and security. Abdi’s dream of peace and reconciliation remains remote. 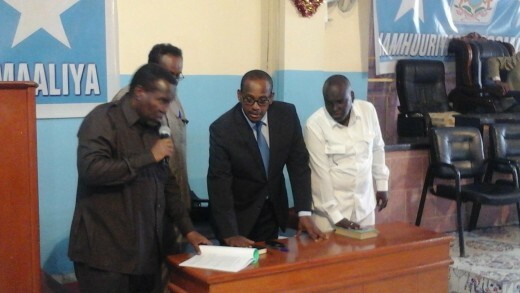 We wish Abdi Shire Jama MP every success in his continuing work and struggle.